What was it actually like to live in Elizabethan England? If you could travel to the past and walk the streets of London in the 1590s, where would you stay? What would you eat? What would you wear? Would you really have a sense of it being a glorious age? And if so, how would that glory sit alongside the vagrants, diseases, violence, sexism and famine of the time? 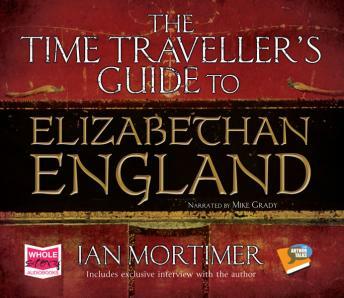 In this book Ian Mortimer answers the key questions that visitor to late sixteenth-century England would ask, applying the groundbreaking approach he pioneered in his bestselling Time Traveller's Guide to Medieval England.